General Information: Turmeric is mildly aromatic and has scents of orange or ginger. It has a pungent, bitter flavor. 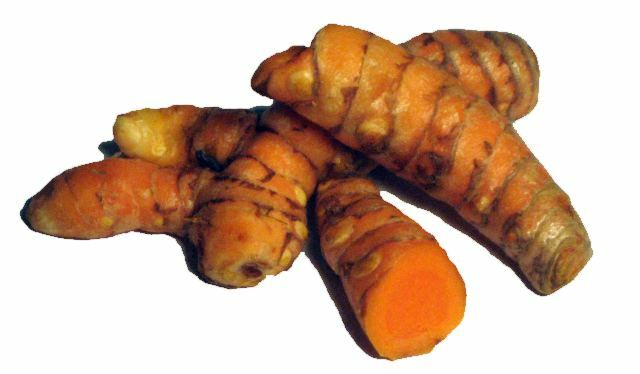 The aromatic roots of Turmeric are related to ginger and Turmeric will do well wherever ginger thrives. Turmeric (Curcuma longa, also known as tumeric) is a spice commonly used in curries and other Indian cooking. Its active ingredient is curcumin. It is a significant ingredient in most commercial curry powders. In many eastern countries, it's still used as a cosmetic which gives the skin a golden glow. it has many uses in the religious and ceremonial life of the Orient.